Its been a while since I posted an update on the house build. We are back at work after our Mexico break and have a few projects in the works…..but nothing finished. I am a finisher. I like to start and finish a project and then cross it off my list. Ken is a starter. So..lots of projects started, nothing finished. But, we are making progress. After finishing all the cabinets in the kitchen (Love my 100% finished kitchen. Its a dream come true. 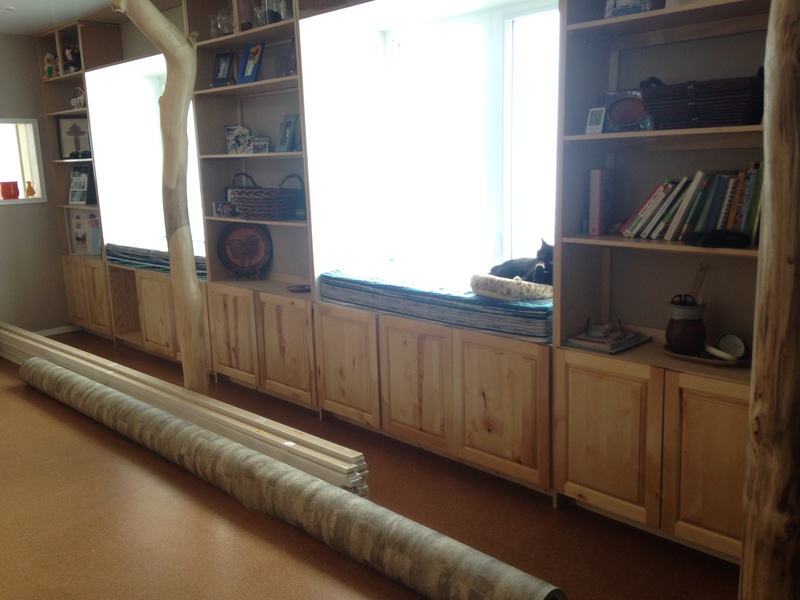 ), Ken got going on the cabinet doors for the livingroom, and there is a lot of them. 12 bottom doors, 6 top doors and 2 false fronts to complete the west wall with the windows and window seats. Plus 2 weird shape doors for the cabinets under the stairs. Then he got sidetracked. Ken C volunteered to come help finish the pine ceiling. 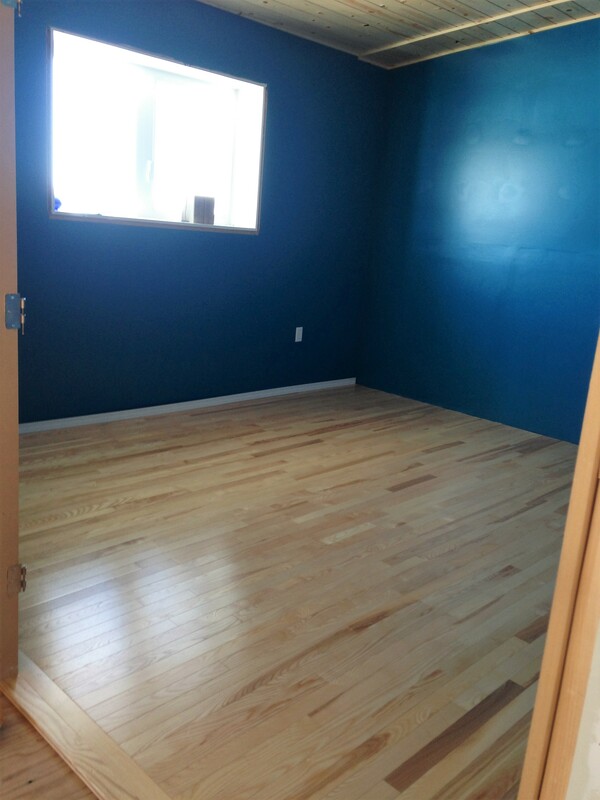 Once that was done, Ken decided now that the ceiling in the master bedroom upstairs was done, he’d like to put the hardwood floor. (The hardwood was another Kijiji find from a few years back that has been stored until now) So we mudded, taped, painted and put in the hardwood floor. The bedroom still needs the French doors put in and the trim finished, but Ken decided to start the walk-in closet and attached bathroom as well. 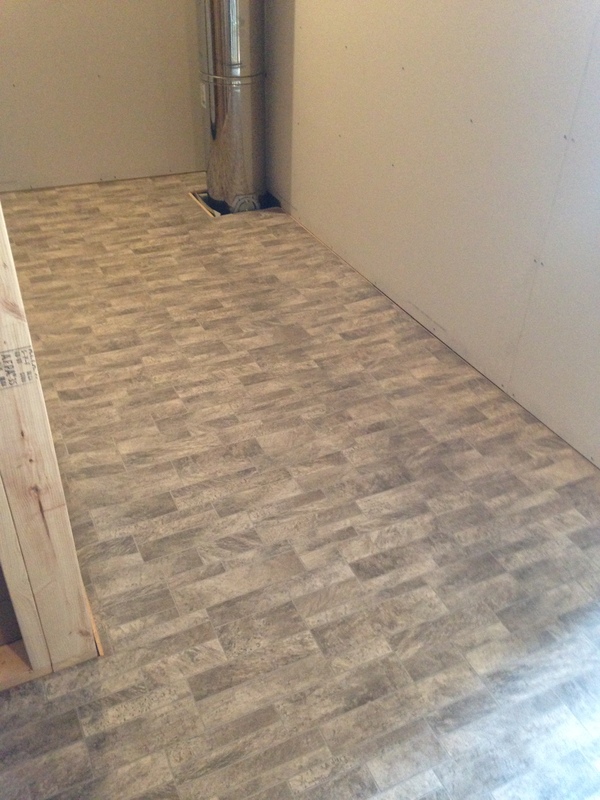 Finding the perfect piece of vinyl flooring on Kijiji sealed the deal. A great deal and enough for the walk-in closet, master bathroom, both dormer storage rooms and the porch floor. It is the fibreglass backed kind which is wonderful to work with and does not need to be glued down. 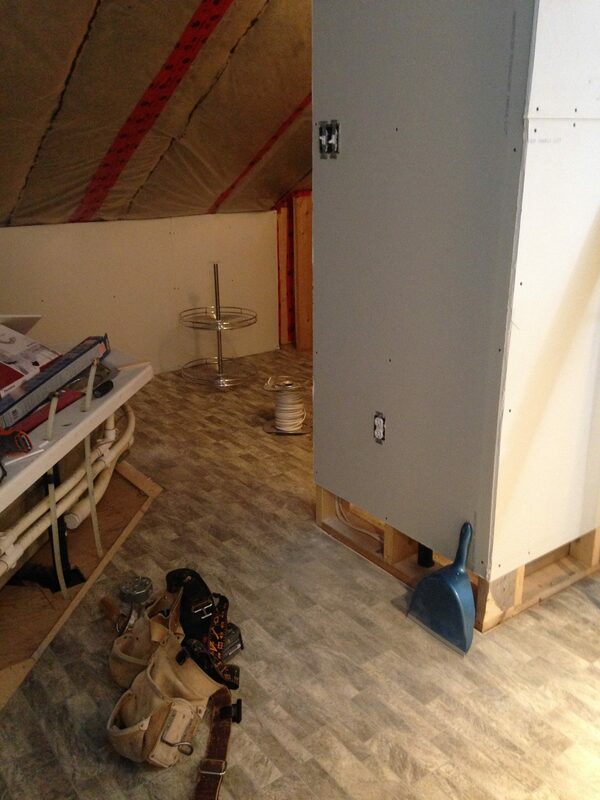 We had already installed the Enstrom subflooring in the closet and bathroom. It had been sitting on the veranda deck all summer after we finished the cork floor on the main level. With winter on the way, we figured we had better get it inside. Rather than store it, we laid it down. Now we had the vinyl so we installed it. 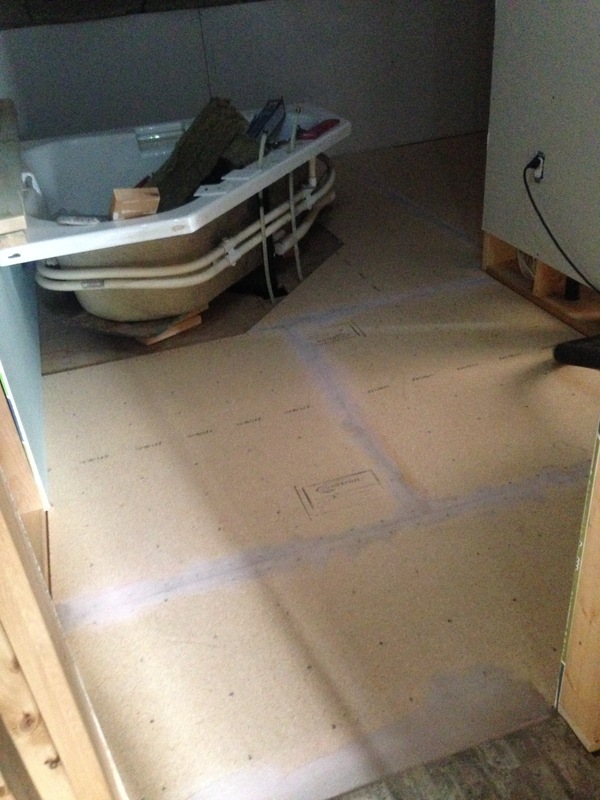 There is still lots of build to do in these two rooms and we know the floor should be last. BUT, we don’t always follow the rules. So the floor is in and we are finishing around it. Hoping all the drywall will be up soon so that the closet can be taped and mudded. Ken does the mudding and taping, I do the cleanup and painting. He has the closet storage system almost finished but the room needs to be painted before it can be installed. Can’t wait to have a closet. We have most of our clothes still stored in suitcases. Whenever we have a special event, we have to rummage through them to find what we need. I doubt we will finish these projects finished before the warm weather hits. 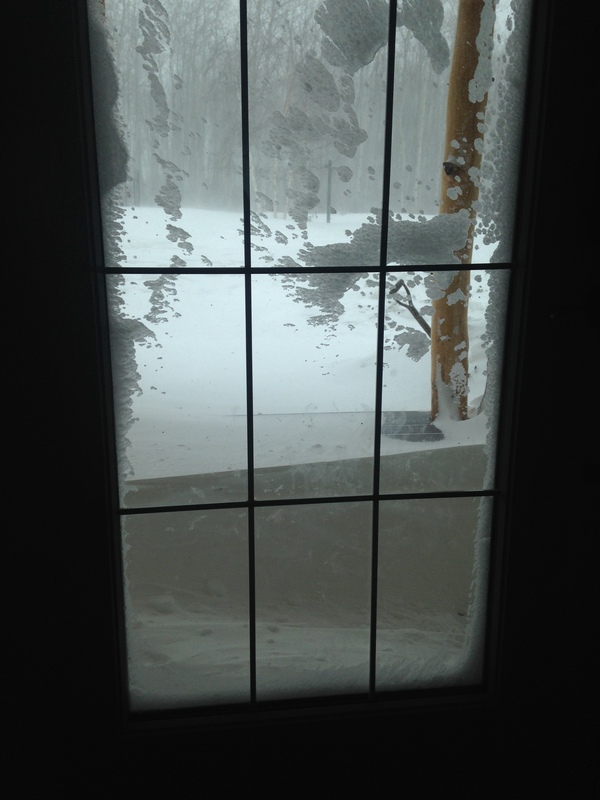 However, given we are in the midst of a fierce winter storm today, you just never know when old man winter will give in and let spring come in. Once the snow is gone, we will head outside for landscaping. And whatever is not done inside, will just have to wait. However, keeping my fingers crossed that I can have at least one more completed project before spring. This entry was posted in Bathroom, Construction, Living Room, Woodworking projects and tagged cabinets, hardwood floor, livingroom, master bathroom, master bedroom, rustic cabinets, vinyl, walk-in closet. Bookmark the permalink. Lovely Darlene and ken… good work! Thanks Bruce. We are enjoying the process.